The smell wafting from the kitchen at Youth Haven in Barrie is the sweet smell of success. 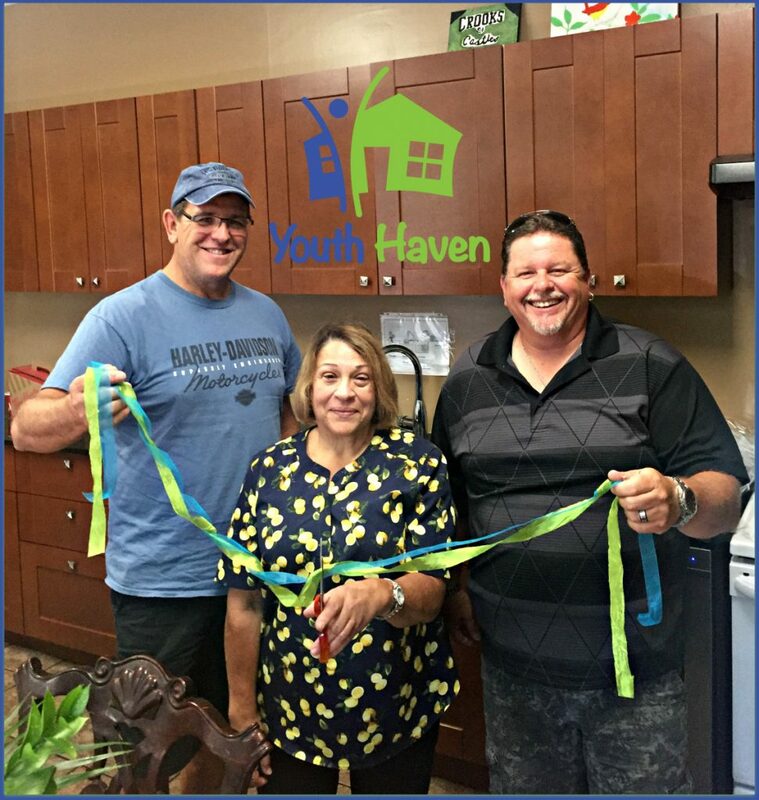 Four volunteers (Ed Suptin, Dean Smith, Colin Campbell, Tony Everson) donated their skills and labour of love this summer to renovate the kitchen at Youth Haven, Simcoe County’s only emergency shelter for youth ages 16-24 who are experiencing homelessness. The kitchen has new flooring, new cupboards, new lighting, a new granite countertop, a new pantry and a fresh coat of paint. “The kitchen is night and day from what we started with. Most of the cupboards were missing, the floor was uneven, the lighting was dim, even on the brightest day.” said Dean Smith. The renovations were complimented with a donated stove from R & M Plastic Products of Barrie, as well as a donated fridge from Marcia and Ian Budd. Marcia is President of Muskoka Chefs and has been a volunteer at Youth Haven for about seven months, helping the youth prepare meals and teaching them cooking skills. Supplies for the renovation were offered at a reduced rate by Discount Granite Plus, Lowe’s and Home Depot in Barrie. “Without the work of our volunteers, the donated appliances and the reduced rate from these wonderful companies, the cost to do this project would have topped $14,000. We could not afford that.” – Lucy Gowers, Youth Haven Executive Director. For more information about how you can help Yout Haven, please contact our Executive Director, Lucy Gowers, at 705-795-7423.